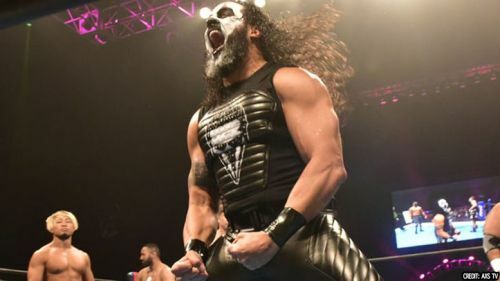 New Japan Pro Wrestling superstar Tama Tonga took it to his official Twitter handle earlier today and revealed that he and his fellow Bullet Club Firing Squad stablemates are currently open to recruiting more members to the faction. The trio of Tama Tonga, Tanga Loa, and Bad Luck Fale constantly made their presence felt in high stakes matches and caused an issue with almost every single member of the NJPW roster. The Bullet Club Firing Squad has been at the center of all controversial and notorious topics ever since the group's initial inception a few months ago and despite having a total of only four members in the entire faction, The Firing Squad has been able to cause a lot of damage to the rest of NJPW roster. However, as per noted by Tama Tonga on Twitter, it now seems like The Firing Squad is fully preparing itself to head to war against The Bullet Club Elite, as 'The Bad Boy' claimed on the social media The BC Firing Squad is currently open to recruiting members and also asked the fans to suggest a few names who are worthy enough of joining the group. As of this writing, we are entirely not sure which wrestlers will be joining The Bullet Club Firing Squad within the near future, but, as per suggestions from the majority of the fans, it definitely does look like that the entire world is patiently waiting for former WWE Cruiserweight Champion Neville to align himself with The Firing Squad.